Amir Assadollahi, a Canadian political scientist, recently took to Facebook to respond to a statement allegedly released by Philippine Senator Risa Hontiveros. According to a screen shot that Assadollahi shared, it said that the senator asked the Filipino people to have an EDSA People Power Revolution to go against the administration of President Rodrigo Duterte. In regards to this, Assadollahi said that "the national security and keeping public order is above and beyond the personal interests and political ambitions." 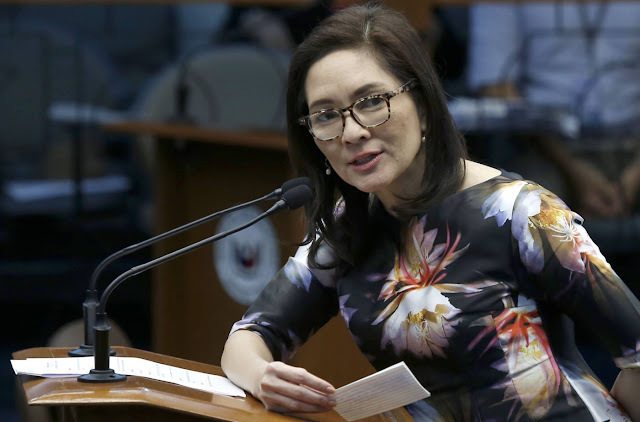 The Canadian political commentator seemed to hint that Hontiveros' statement is bringing chaos to the Filipino people, and also seemed to hint that she should not have said that. He added that the most Hontiveros should have done is to demand for a vote of no confidence against the president. This, at the very least, he said is within the laws of the Philippines. Assadollahi also questioned why Hontiveros requests such a thing from the public. He said that she might be hiding something which moved het to call for the removal of Duterte from offices. He also calls the presidency of Benigno "Noynoy" Aquino III as the "most corrupt government in the history of the Philippines", and he further alleges that this is the international media that dubbed Aquino's term to be one. Hontiveros, along with Trillanes and Aquino, is cut from the same rock, he says. 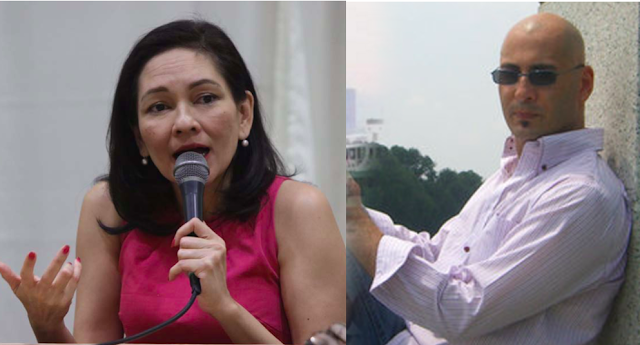 Hontiveros is power hungry, he says that that she does not understand exactly how democracy works. Continuing on, Assadollahi says that even with these opposite views from Hontiveros and her group, "the people will not remain idle." Ending his post, this is what Assadollahi had to say: "You stupid idiot calling yourself a Senator!" "I’d say that such a call is sedition against democratically elected leader which majority of voters want him to end the corruption, crime and oligarchy rule that the EDSA proliferated. Coming such call from someone who allegedly had plundered the Philippine Healthcare and most likely could go to jail for corruption and criminal acts as well as repeated sedition is not only comical but also stupid. What do you think will happen in Canada if a senator from opposition party called on people to overthrow the government and take over the office of the Prime Minister?! They will go to jail for sure for instigating lawlessness and will be punished by the supreme court for acts of sedition and endangering national security and perhaps espionage and if that was supported by the foreign nations, I am sure some news laws would have been put forward to gag senators and media. The national security and keeping public order is above and beyond the personal interests and political ambitions. She can demand for some kind of vote of no confidence against the president (or ask for impeachment of him) according to the Philippine laws and parliamentary rules, but other than that she cannot go out there and instigate the public to act lawlessly to overthrow the government. 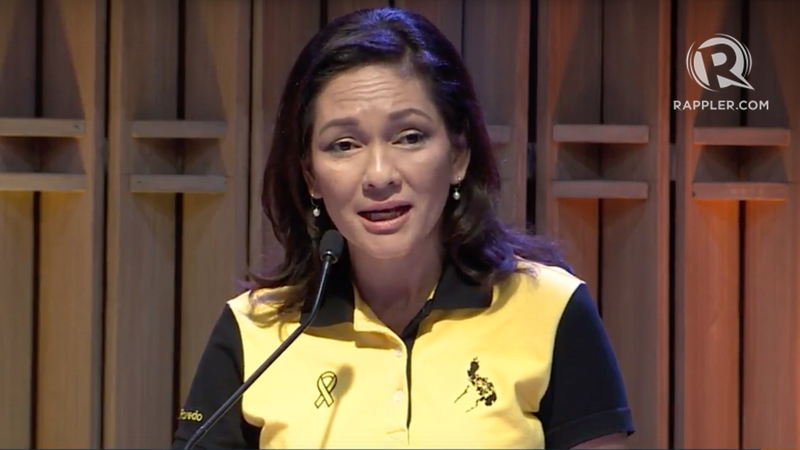 Hontiveros is scared that soon she has to answer to the senate investigation against her and the lawsuit that is going to come against her plunders. She is most likely afraid that Trillanes and De Lima could talk to lighten their sentence and use her as a bargaining chip. Why is she so afraid? No one is asking that question! What is she hiding that she is willing to call on the people to overthrow a democratically elected president, but keeps quite when her classmate Leni Robredo is known to have cheated on Vice Presidency race and yet they all want her to take over Duterte? There is something very wrong with that picture. If this news is true about her calling for EDSA to overthrow Duterte’s elected government who has high satisfaction of the public and reducing all the elements of crime and corruption and building stronger economy, safety and security in the Philippines, then isn’t what she is doing an act of sedition and disloyalty to the law and the nation, going against the public will for her own political gain!? What does the Philippines law say about that? Trillanes committed mutiny before he miraculously got out of jail and became a senator - a criminal who had a failed coup attempt becomes a senator under Benigno Aquino III presidency whereas his government is known to be the most corrupt government in the history of the Philippines by foriegn media! She is part of the same corrupt group. What would people want? Should they ask for arrest of her for acts of sedition as well? What would you do if a drug lord became a senator, and then said let’s overthrow the government that is fighting drugs and putting drug dealers behind the bar and shutting down the drug labs? Would you call that democracy? Hontiveros is power hungry and does not want to follow the rules of law, because she does not understand how law works, nor can she understand how democracy works. The Philippines is a democracy, and ‘though its laws are not exactly Western laws, it still have a constitution, a flag, a legal system, and elected officials. You cannot just go on street and scream like President Charles de Gaulle of France on July 24, 1967 when visiting Canada, giving a controversial speech in Canadian soil sayin “Vive le Québec libre” under the pretext of attending Expo 67 in Montreal, Quebec! First of all it is not 1967 Madam - you might have a nostalgic dream of good old days that people like you could play with emotions of people for their own interest and lie to them as if it was butter mixed with sugar to fatten them and sweeten a notion of revolution - well, people who don’t like law and order may follow you, but the law obeying citizens will not remain silent this time as they did three decades ago as your pompous an@l-retentive people in your group obsessed with how to overthrow governments and continue your reign of terror, crime and corruption. The people this time will not remain idle as they did before 1986 - watching the horror your group crested and military getting order not to fire on the crowds, and your Fake People Power Revolution sold it to the world as the Bloodless Revolution. Let me break it down for you. This time it will be bloody as hell. Even though you all manage to overthrow the democratically elected Duterte government, do you think your neighbors will remain idle and allow you and your people rule as you did before? The entire Philippines will turn into a battle zone you dumba$$. Even without a foreign invasion, do you think all those millions of Filipinos whose eyes have opened will remain quite? You will have arisen, murders and crimes from both side on a continues strings of revenge that will continue for decades. The Philippines will become worst than Syria and Iraq.Those who can will leave and the majority will live under poverty worse than before. The Philippines will become the breading ground for global terror in the region and vultures will fly to the Philippines to strip away all resources it has. Is that what you want? You stupid idiot calling yourself a Senator! Just an simple observation - have you noticed that anytime Duterte leaves the country, these idiots do acts of sedition!? I think they lack spine, because they know that they public is behind Duterte! With him in the country, netizens and public will slam them as his defenders. It is too late for them, the public has awaken, and they will stand against criminals like Hontiveros without any fear. Anything happens to Duterte because of those Yellow EDSA idiots, the Philippines will become one bloody hellhole no one could imagine, and the fire will spread not only to the rest of Southeast Asia, but also to Far East into Japan and North as well."